Given the array of breathtakingly beautiful glass decanting vessels available to wine devotees (and the encouraging downturn in collective scoffing at their raison d’être), we feel very comfortable presenting you with the Hario Range Server. 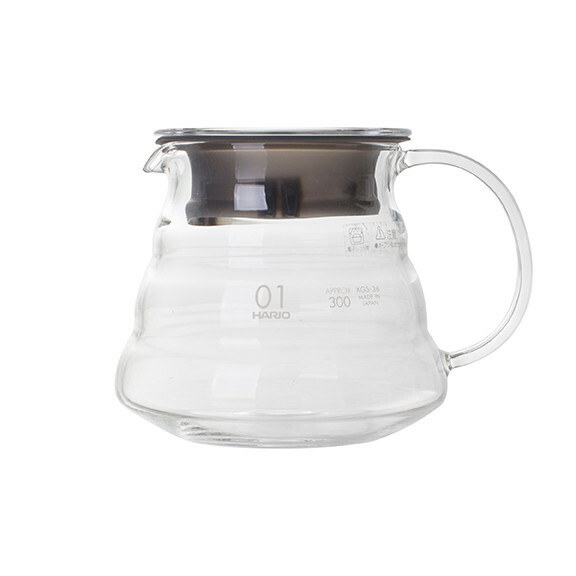 It comfortably houses 360 ml, pours beautifully, and gives coffee an elegant venue in which it can cool and aerate before service. It is dishwasher safe.